Peter Parker (Andrew Garfield) is left by his parents under the care of his Uncle Ben (Martin Sheen) and Aunt May (Sally Field). They never came back. Now in high school, Peter is the resident dork whom some students find weird and some would like to bully. Finding a suitcase that belonged to his father leads him to Curt Connors (Rhys Ifans), a scientist working for Oscorp who used to be a colleague of his dad. Oh, and he also lacks an arm. Their paths cross as he sneaks into his laboratory, but instead of getting answers, he gets a radioactive spider bite. You know what happens next. The previous Spider-Man was modern enough to begin with, yet this reboot is even more techie. The special effects are improved, but perhaps a little too much that it becomes detrimental at some point. The movements and fight scenes are well-choreographed but excesses in terms of superhuman ability are stressed too much that in some scenes they no longer look natural, although they do look cool. The plot is similar to the first movie in many ways. The difference is more on the choice of characters and the decision to keep the setting in high school, which gives way to tackling teenage angst and romance in detail instead of going head-on with the boring realities of adult life. It is because of this that everything seems teenybopper, but at least the flow of the story is kept light. Garfield's Spider-Man has an edge over Maguire's in that the former really does look dorky and could do weird quite convincingly. Moreover, this Garfield guy cries so well and this ability of his made it way easier for him to display the inner struggle and the angst of a hormonal teenager with issues. Maguire is also geeky and could cry as required, but his was more comical, quite stoic really, rather than heartfelt. Mary Jane's red locks are thrown out in favor of Gwen Stacy's (Emma Stone) blonde curls. You would love Gwen more because her character actually has something to contribute to the way the plot unfolds, in a more active way than Mary Jane, whose sole purpose seemed to be more on dangling from collapsing buildings waiting to be saved. Stone's portrayal of a more useful love interest is one of the good things about this movie and less likely to get any backlash because she is not a reboot of Mary Jane after all. Curt Connors is threatening alright but his existence made the movie look more like Spider-Man versus Godzilla. Their first encounter on the bridge does not help in evading this comparison. The Green Goblin at least had his own brand of terror enough to send shivers down your spine. On the contrary, seeing the Lizard wreak havoc around Manhattan makes you just want to call Ultraman so the matter could be settled fast. Or maybe I just do not like reptiles, period. There is nothing wrong with this movie except that it had to come out around half a decade too early. 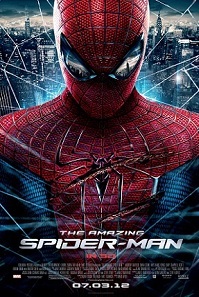 Breaking box office records left and right, Tobey Maguire's Spider-Man was arguably the most successful superhero movie of its time, not just by virtue of its juggernaut box office appeal but also through the strength of its message, which is retained in this movie. Responsibility is the buzz word here, always have been. Even though Spider-Man is not the ideal dark anti-hero that most adults would love to watch, it is that kind of movie that the younger generation would really admire because they could relate to it. And that is where the fault probably lies. This generation's Spider-Man is Tobey Maguire, and not enough time has passed to merit a reboot, especially when the franchise you are trying to revive was very successful in one too many aspects. The people who grew up with him will always remember him as their Spider-Man. The people growing up today are too busy worshipping Justin Bieber for them to even care. Wrong timing. The ending hints a sequel by the way, but given the recent successful cross-overs of other Marvel superheroes to Hollywood, it would be wise to wait some more. At least let Spidey be missed. Still, I love this movie, maybe because Spidey has always been the superhero to whom I could easily relate, and the underdog story never gets old.